Same trend we gave sell call @ 10250 My target is 10100……. After my alert slide and kissed 10070…………. My clients mind fully on Money Money Money……. Today’s Support 10175 if trade below the level 10100 & 10040 next levels……. Higher level what will do ???? More update during market hrs to my clients…..
Once if stays below the level…….. Non stop slide will expect !!! Which level is support ???? Surly we will update to my clients !!! Nifty Future Morning we updated Resistance 5260 around. Sent Sell call @ 5245 my stop loss 5265……. 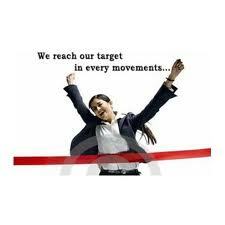 My stop loss 10300 Target 10100……..
Nifty Future yesterday traded very Range…. Nifty Future last 10 days Traded 5150 to 5350…….. But Most of stocks trades below 45 days low…. Today’s Resistance level 5235, if stays above the level, 5260 & 5285 will be tested…..
Today’s Support 5175, if trades below the level, 5155 & 5135 expected…..
Catch it if u can !!! Once if stays below the level…….. Non stop slide will expect !! 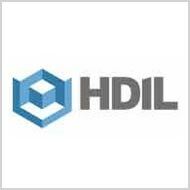 HDIL Yesterday closed 80 around…..
We gave sell call @ 741 After broken the level kissed 730…………..
non stop slide & kissed 1150………. Morning we wrote in HOT CALL again short covering will come !!! After long time Nifty Future closed 4 points discount…. Today also huge Volatility expected !!! 5135 next hurdle & Last hope for Bulls. Higher level selling chance !!! with stop-loss ??? Lower level buying chance !!! with stop-loss ??? Today’s support 10100 if trade below the level 10040 next support level….. Thereafter 9930 & 9820 will be tested…………..
Today also, short covering expected !!! But if cross the level, Which level ??? JSWSTEEL now looking very Bearish trend….. If break the level, Free Fall expected !!! OR buy at lower level Keep strict stop-loss ??? What is Magic & Hurdle level ??? We will update to our clients !! !